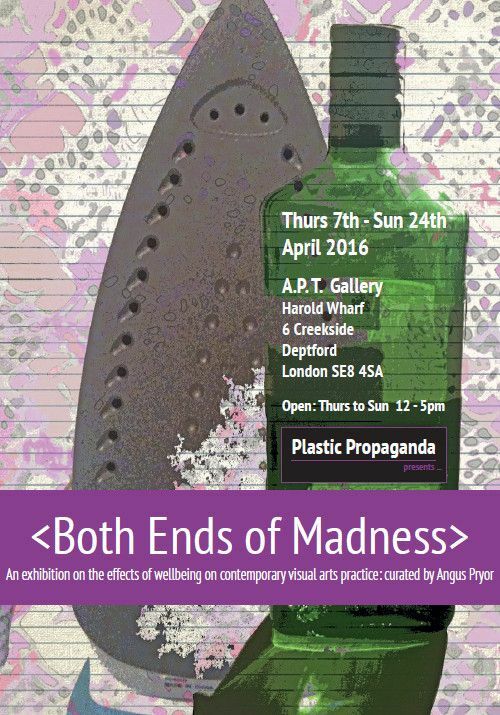 An exhibition on the effects of wellbeing on contemporary visual arts practice. An exhibition on the effects of wellbeing on contemporary visual arts practice. Curated by Angus Pryor. John Brennan | Richard Brooks | John Butterworth | Anjula Crocker | Mandakini Devi | Dom Elsner | Jez Giddings | Lucy Gresley | William Henry | Mark Howland | Emma Moody-Smith | Angus Pryor | Mike Walker | Heidi Yssennagger.